Sometimes you just want to read a sweet, fluffy fantasy in which the goodies are good, the baddies are bad, and nothing truly scary happens. Welcome to the idyllic Heart Forest, ruled by Gaia and protected by animal elementals – the Animentals – from the dark forces which want nothing more than to destroy it. RedSilver follows vixen Red Sunset as she is snatched from certain death to take up her role as Animental. She meets the other animal guardians - Braenaigh the badger, Chancer the cacomistle and she-wolf Silver, their leader, who becomes Red's closest friend - and awaits the awakening of her powers to find out what kind of Animental she herself will be. Shy at first, she blossoms under the guidance of her new peers, her personal growth matched by corresponding increases in her newfound physical abilities. Meanwhile, the invisible barrier which shields the forest from harm is shrinking every day under the attacks of a horde of shadow demons. 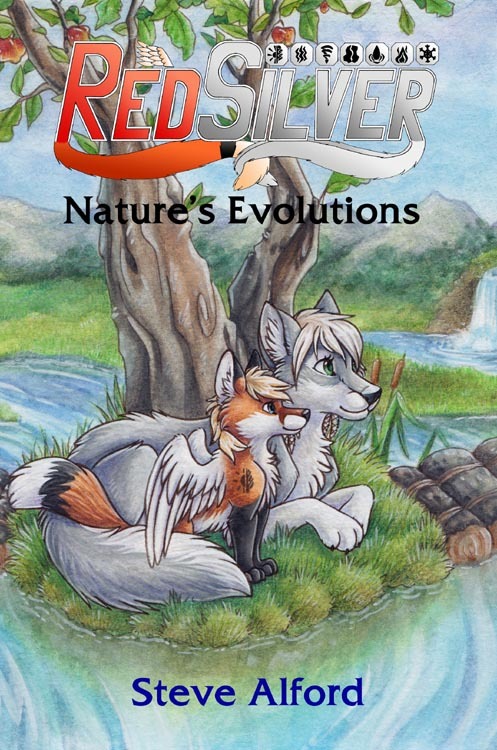 Red and the other Animentals must discover their plans and their hideout, then destroy them. The Animentals are a typical team of heroes whose characters match their powers, from the down-to-earth badger to the surfer-dude otter (both of whom have speech patterns you may find cute or annoying, according to taste). In the best superhero tradition, they may bicker and tease one another from time to time, but they also save each other's lives on a regular basis. Their mutual affection and willingness to sacrifice themselves for the good of the group are never in doubt. The demons are for the most part a cookie-cutter batch of identical, dispensible villains, but their leaders do have names and a small helping of personality. Characters and plot may be laid out in black and white terms, and there are few surprises, yet the story is well-written and pleasant to read. (I did have one genuine 'whoa!' moment, the details of which I won't spoil.) Descriptions of the scenery and the weather slow the action down, but help to provide an atmosphere of enjoyable escapism. A cosy tale with suitably charming illustrations by Silent Ravyn. Feelgood factor: high. Paperback: £8.95 — Kindle: $4.50 / £3.04. More purchase options and preview chapters are available at the author's Fur Affinity page.